Glossy, Matt, Soft Touch, Embossed, Etc. 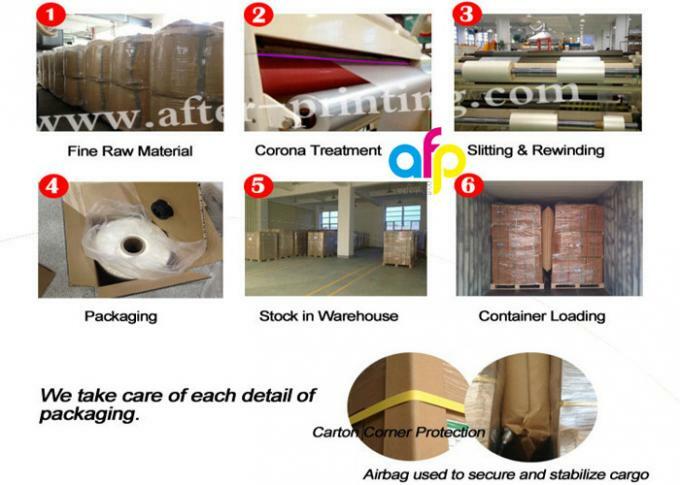 Corona treatment is very important for thermal lamination film when they are used for spot UV Varnish or hot stamping. Our BOPP thermal lamination film sees over 38 dynes, while PET thermal lamination film sees over 42 dynes. Some of other thermal lamiantion film even sees 52 dynes, such as Metalized Thermal Lamination Film. We are able to increase corona value according to customers' request for their successful achievement on special finishing processing. 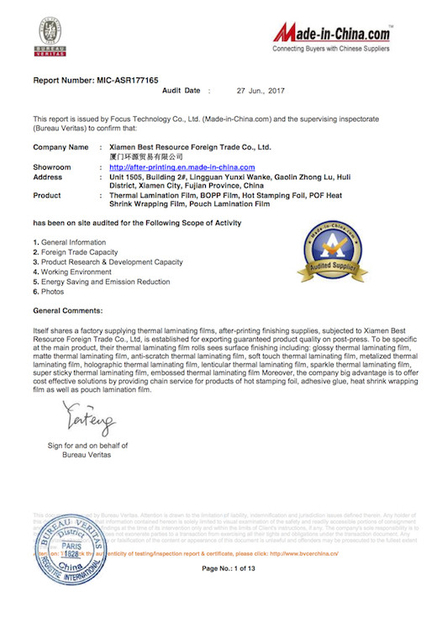 What is Thermal Lamination Film ? Thermal lamination film is produced by multi extrusion coating lines. It is consisted of two layers. 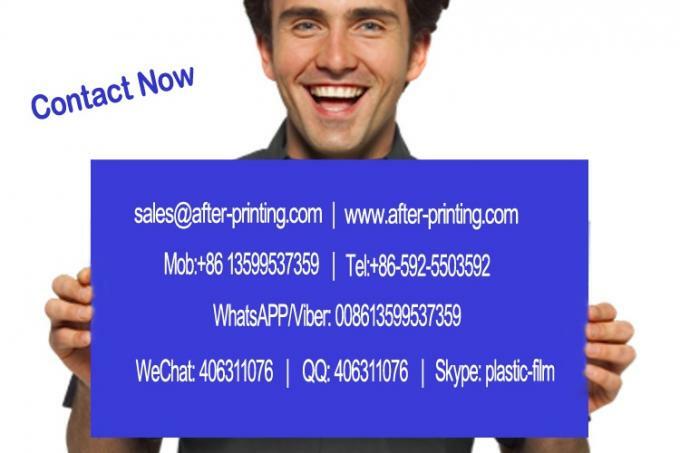 One is plastic film, of which mainly is BOPP or PET film, another layer is adhesive glue of EVA . Thermal Lamination Film is also called dry, hot or heat lamination film. 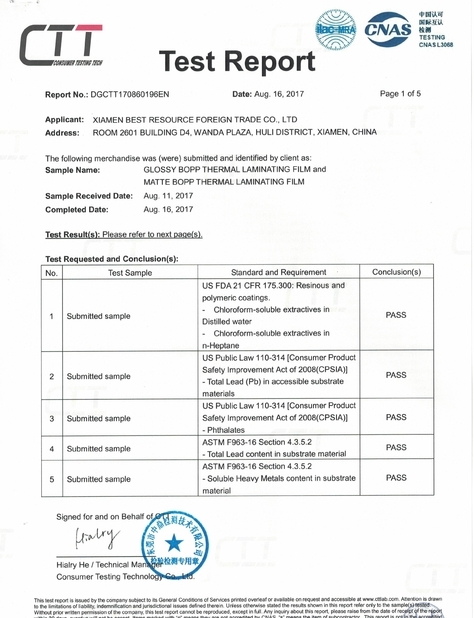 Where is Thermal Lamination Film Used? 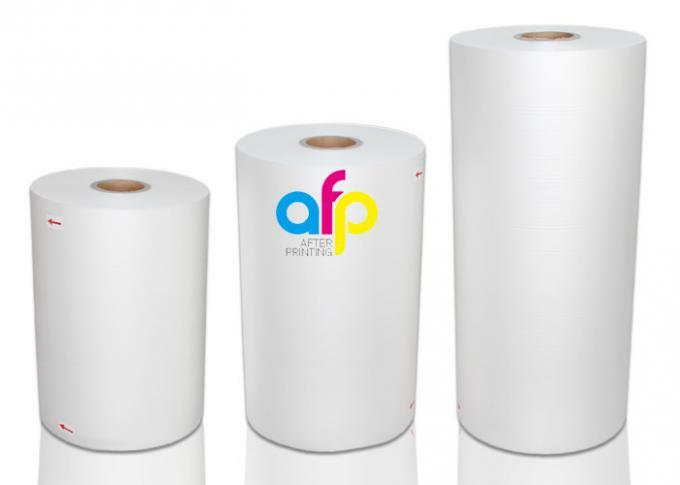 Generally, the printing house uses BOPP Thermal Lamination Film rolls for commercial and school printings. it can also be used to graphic arts large format. the transparent film lamination, bright/shine/glossy or matte/dull, is heated as protection on the paper cover. 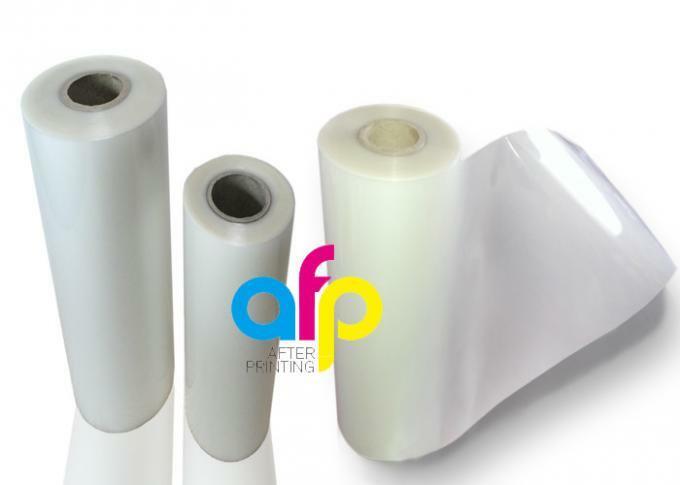 Sometimes people call it as paper lamination film used by heating eva adhesive glue into paper substrates. 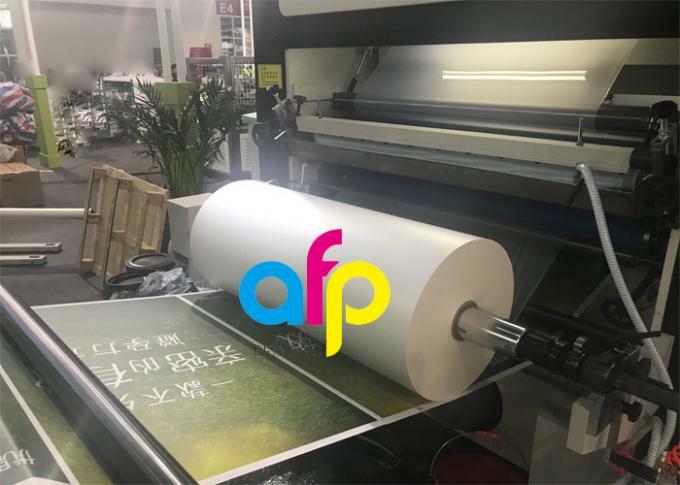 How to Use Thermal Lamination Film ? 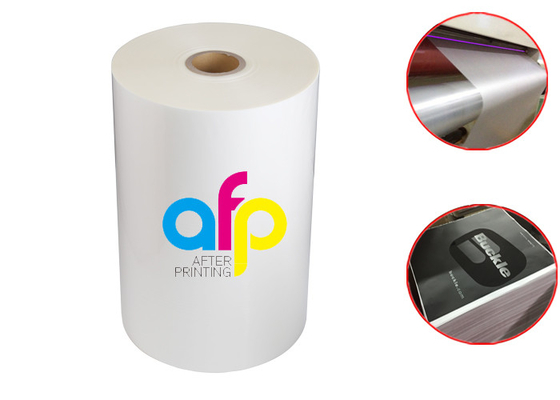 Lamination process is of joining two or more layers, aimed for protecting the prints. 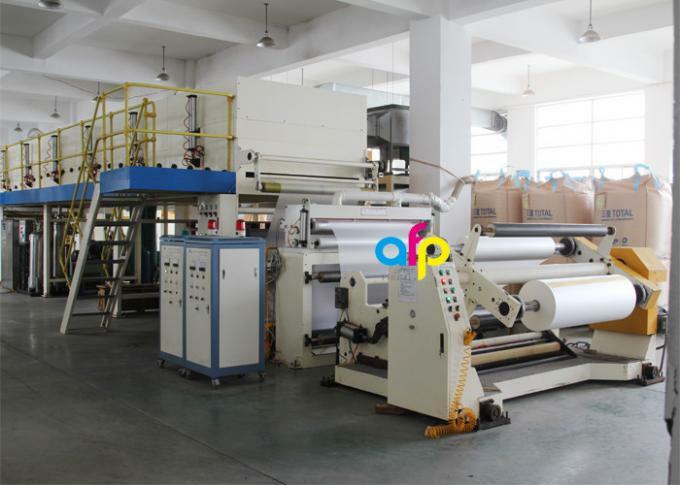 we need a hot laminator, or called thermal (heat,dry) lamination roller machine, to use Thermal Lamination Film by melting its EVA adhesive onto paper surface. 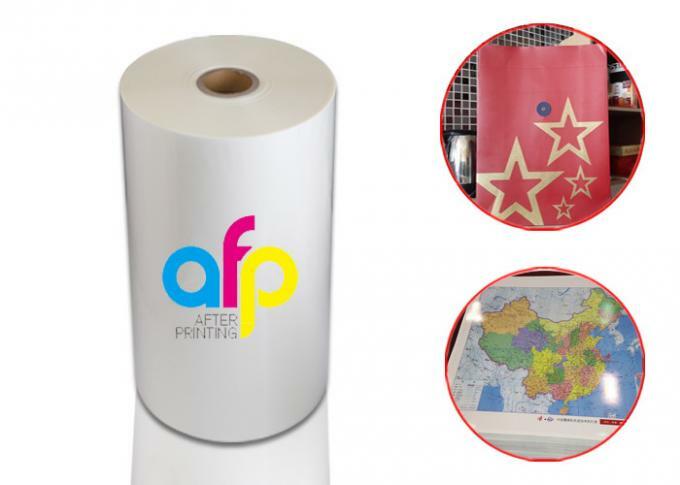 During the process, the film is passed on a heated roller and under reasonable pressure it sticks to the paper. This process is easy to use and can be done in home for small applications. Sometimes, people also call it heat lamination or dry lamination or hot lamination. Type: Glossy, Matt, Metalized, Holographic, etc. Type: Glossy, Matt, Embossed, etc. Type: Glossy, Matt, Scratch Resistant, Digital, etc.